Recommended for: mainly trails but fine for short door/car to trail bits too. 5mm lugs with a mixture of R-MAT and Vibram rubber. 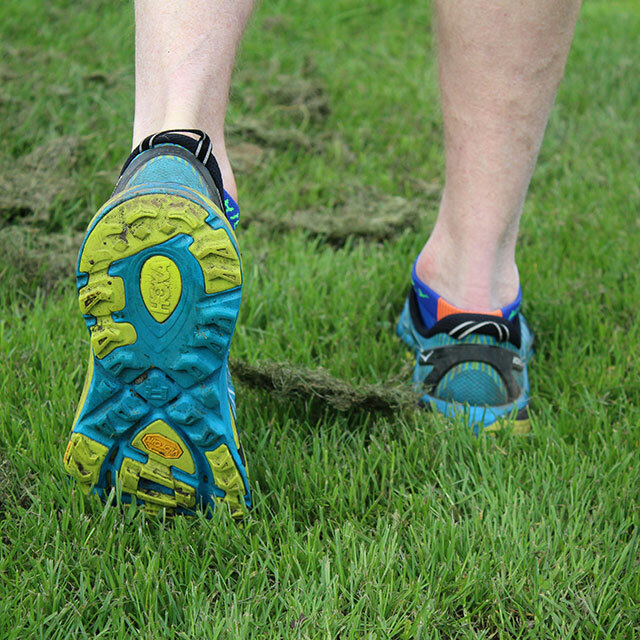 The more durable Vibram is strategically placed in the main impact areas of heel and forefoot. Combined with the R-Mat it gives great grip on wet surfaces. 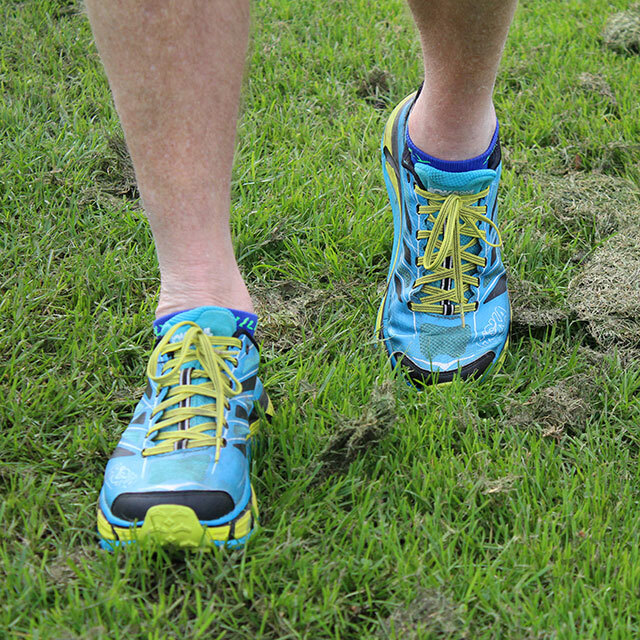 Improved forefoot flex grooves make it adaptable to all terrains. The wide Hoka base is designed to give full ground contact. High abrasion impact Vibram rubber at main strike zones in heel and forefoot. Improved padding around the heel and tongue. Strong forefoot toebox. Traditional lacing system replacing the original speed laces of earlier models. Although essentially a neutral shoe the “Bucket Seat” design at the heel, whereby the foot is cradled and recessed between 20-30 mm into the midsole, makes the shoe surprisingly stable. Although our experience is Hoka shoes will work with several foot types, If you are a serious over-pronator who has traditionally worn stability shoes, and you are going to be running a lot on tarmac, you have to weigh up if these shoes are going to support you as well, and the staff at Run and Become can use their experience to help you with this. 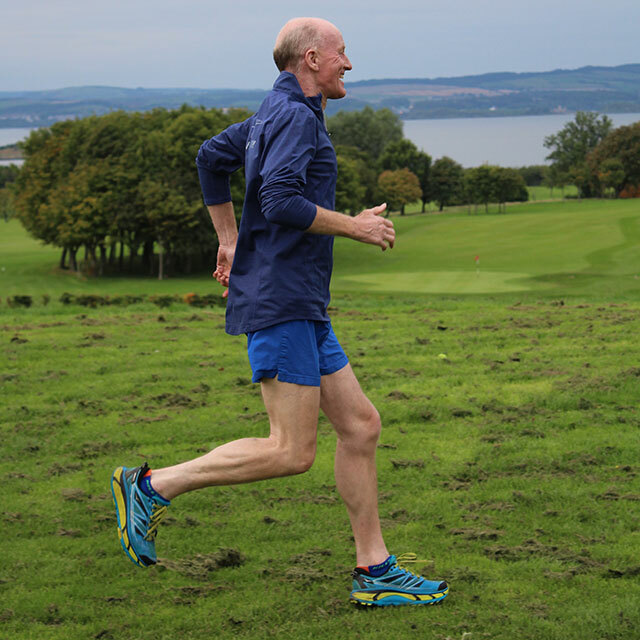 Having run in the Hoka Stinson and the slightly lighter Rapa Nui (including a trundle in this year’s 95mile West Highland Way) I was keen to see how the NEW Mafate Speed performed. Fit: slightly different. I felt like it has a slightly wider toe box than the Stinson. That is not a bad thing for longer distances. With the new gusseted tongue, designed to stop grit and sand getting into the shoe, it is still nice and snug in the mid foot. Grip: As the first Hoka shoe with a deeper 5mm lug, I was hoping this would be the improvement everyone hoped for. 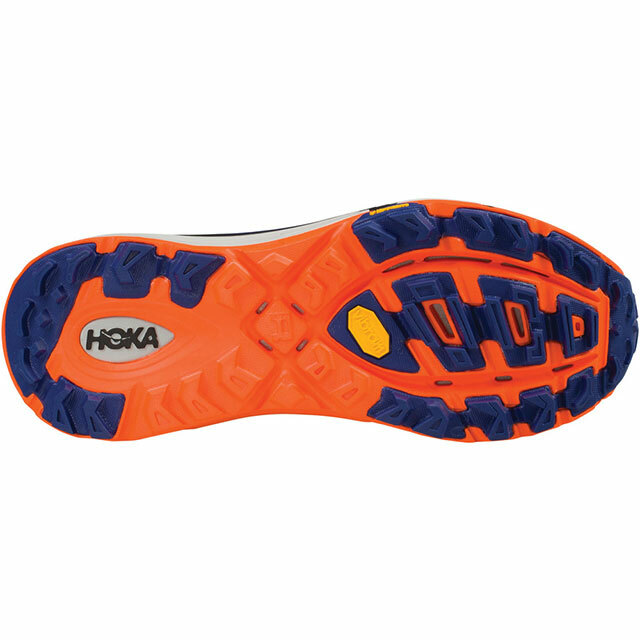 If there was continual chatter about the Hokas and how they can be improved, grip was usually at the top of the list. 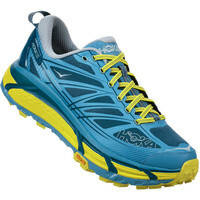 Well Hoka continue to listen to “global feedback“ and the Mafate is so much better on the majority of trails. The combination of durable Vibram rubber and R-Mat makes an excellent mix. Laces: The speed lacing system of earlier models is replaced with traditional laces. Personally I always felt Hoka never quite got the speed lacing right especially at the top of the tongue. Regulation lacing, and plenty of eyelets, means you can play around with the lacing to get the optimal fit around the midfoot and the top of the tongue. These are great shoes, I love them. I still use my lightweights for shorter and faster running, but for my longer runs (2 hours plus) on miles of trails with the odd road miles, the HOKA just give that extra cushioning, to protect and help lesson the impact. The Hoka One One Mafate Speed is the Most Sumptiously Cushioned Running Shoe Money can Buy.Period. 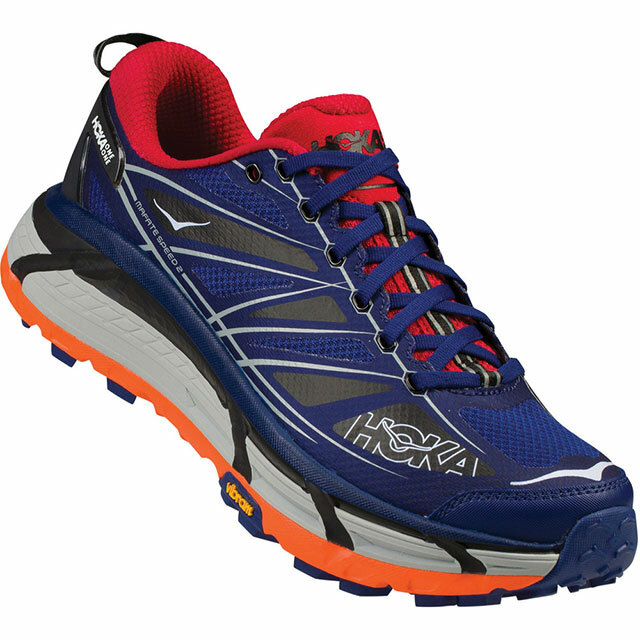 If you run trails and you want the Best Cusioned Trail Running Shoe anywhere on the Planet.Get em! Thanks for your comments, We do indeed have a loyal and growing following of Hoka Fans amongst our customers. All totally impressed, like you with the cushioning they offer.